One of the goals Lyssa had for me was to take a painting course. When Lyssa first told me about this I was scared to death. I’m serious folks..scared to death. I hate art. I can not stand it. It’s probably because I don’t understand it, but nonetheless, I hate it. 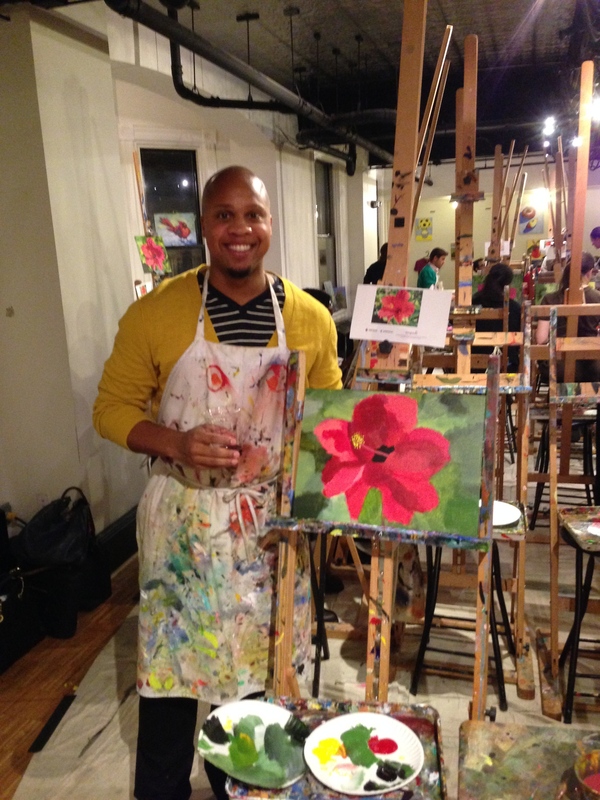 Thank you, Living Social for having a painting course in DC entitled “Sippin and Painting.” They provide wine while you paint! Okay, so that doesn’t sound that bad. I decided to do it. First off, the Living Social building is amazing. It’s an older building which has been redone inside to look beautiful. I walk in and go into the room and begin to cringe. There’s nothing but paint, easels, paint brushes, and paintings around me. Imagine a vampire seeing the sun…that was me. They start off by giving you a wine bottle (about half the size of a regular bottle). Needless to say I was very happy about that. 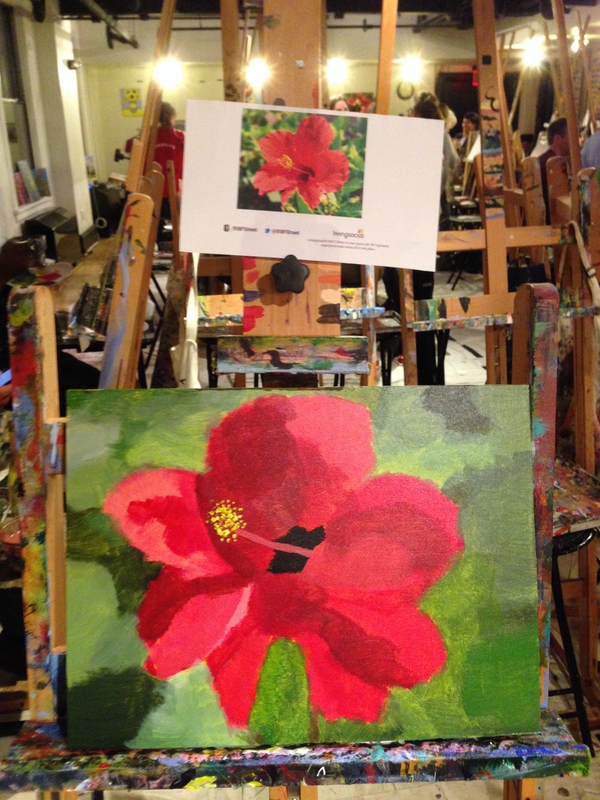 My task was to paint a flower. I couldn’t paint a stick figure if you’d asked me to. The one thing the instructor said that I listened to more than anything else was when she said, “Right when you want to scribble out everything…drink more wine.” Amen sister. Amen. I can’t believe I’m typing this but I had a lot of fun doing this. This is the reason why Lyssa and I push each other on different goals. She knows I don’t like art, yet she pushed me anyway. I had a good time and I’d like to do it again. I think Lyssa humored me, but we hung the painting up in our house. Success! Lyssa’s Goal #1 for me: Completed! Haha! I love this post it’s great. Wine and art go SO well together 🙂 nice painting though! Lol you’ve made my day!